While very much an outsider, I have watched the recent new wave of scandals striking the Catholic church with great sadness. This was increased today as the Catholic diocese in my own hometown of Lincoln, Nebraska was caught up in allegations of abuse. I am far from being a Catholic, although I have a few wonderful friendships with Catholic brothers and sisters from Lincoln. I have no interest in commenting on these specific claims - they may well be false and will need to be investigated, although they may also be true and it is important to protect those who bring charges of abuse and recognize the difficulty of telling the truth when the structures of power are against them. My concern is that many evangelical Protestants hear these stories from within Catholicism and simply shake their heads, blaming them merely on priestly celibacy or some sort of popish corruption. 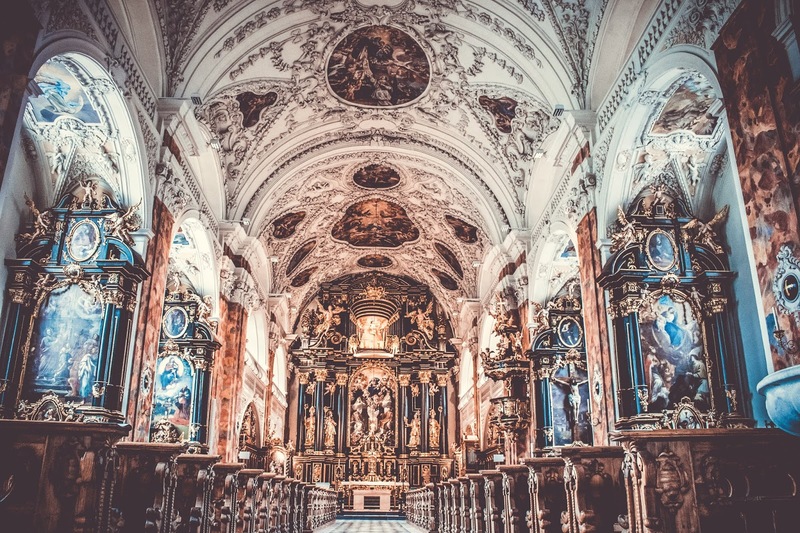 There may well be particular structures within the Catholic church that lead to some of its struggles, but leaders in the church abusing power, sinning sexually, and victimizing the helpless are hardly absent from evangelicalism. Treating this as someone else's problem only stores up wrath for the day we eventually reap the whirlwind of our own sins. With that said, I just want to offer a few general Biblical principles we should all bear in mind when we hear about such evils in the church. 1. While there is forgiveness for any sin, grace always requires true repentance. This is particularly true for public sins by those in power. The impulse to minimize damage, and hence to minimize owning our failings, is actually to deny the power of Christ's cross. When a Christian institution confronts corruption, its mission is to tell the whole truth and acknowledge the depth of our guilt. We should repent for as much as we possibly can, not as little as we can get away with. 2. While there is no level of morality demanded for someone to come to Jesus, there is a level of morality required of those who are ministers of Christ's church. 1 Timothy 3 and Titus 2 both set out qualifications for leaders in the church, and those of us who are pastors must take those qualifications seriously. This does not mean that pastors are sinless - that is not what those passages are about, and demanding perfection of leaders creates its own set of problems. However, there is a common misconception about how forgiveness interacts with the call to ministry. 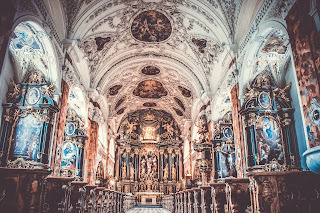 There are some who mistakenly think that graciousness requires we not remove pastors from their positions when they sin, or that we scurry to restore them as quickly as possible. The Bible disagrees. Any repentant sinner is welcome to the Lord's table and to be a member of the church, but there are sins that preclude a person from being ordained or that should result in their defrocking, even if the sinner is repentant. This subject weighs heavily on me because it reminds me of the seriousness of my calling. Every pastor is one bad series of choices away from disqualifying themselves. Again, I'm not speaking about all sins here - I fail every day in all kinds of ways and am so glad for the righteousness I have in Jesus. What Paul focuses on in the above passages are sins that 1) bring public scandal to the gospel or 2) do significant damage to the church's members. In such cases, a pastor ought to be removed from power. I ought to be removed from power if I ever betray my ordination vows in those way. 3. This is because no human being or human institution is indispensable to the kingdom of God. Our ego can persuade us to compromise God's standards because of our imagined importance. Perhaps this is one of the forces at work in Catholicism's struggles - priests and bishops so worried about their reputations or the reputation of the church that they place it ahead of seeking righteousness. Yet it is equally the sin of the megachurch pastor who thinks his ministry is too crucial to the kingdom to be ended by an affair or of the struggling local congregation that sweeps abuse under the rug for fear of losing members. Ministers and churches and denominations exist to serve Jesus and care for His little lambs. They are good when they are faithful in this calling, but when they forsake it, they cease to be ministers of Christ. No pastor is more important than the purity of Christ's church and protecting His sheep. No church or denomination, regardless of its history or tradition or size, is more important than the reputation of the gospel and fidelity to the Lord. Jesus Christ will build his church, and he uses sinners to do it, but those sinners must never think they are necessary for Jesus's mission to be fulfilled. Again, I feel an enormous gravity writing those words. I know there are the seeds of pride in my own heart that can lead to such a warped view of myself. Pride is something I have to fight against daily. I pray God continues to give me the grace to oppose it. However, to compromise in that battle will inevitably lead to the injury of those I exist to serve. That is the reason we must be vigilant against such presumption. My prayers are for all those wounded by such abuses of power and for all those who perpetrate it, that justice and repentance would come. I pray that Jesus would be at work in our midst, humbling those of us who lead and caring for those wounded by leaders who fall. May His kingdom of peace continue to move forward, and may we be faithful in stewarding it until He comes again.